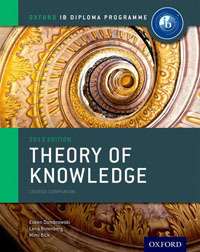 (by Theo Dombrowski, from OSC TOK blog August 13, 2014) Interviewed in the TOK Course Companion, economist Susan McDade (working with the United Nations) comments that “most economic theories” used in the West are based on “assumptions [that] can be pointed out to be weak or not always true” and argues for a complex series of values that are typically ignored by economists.Economics, as we recognize in TOK, is very much a human science – inescapably human in its study and interpretation of aspects of human behaviour. 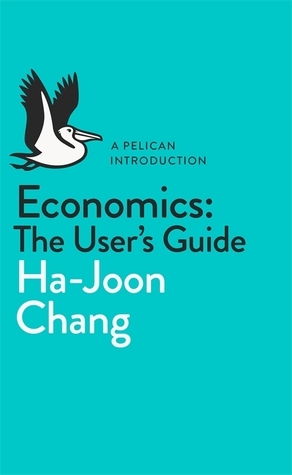 In this regard, a useful further resource for our TOK treatment of the human sciences is a new book by Ha-Joon Chang, Economics: The User’s Guide. Chang’s ideas are easily accessible in many different interviews and reviews, but perhaps most neatly and efficiently laid out, first, in an article written by the author himself and, second, in an extensive review and summary of the book. First, to point to the crucial need to meet majority assumptions, Chang challenges the status quo. “There isn’t just one right way of ‘doing’ economics, despite what most economists tell you.” At another point, he writes, “The focus on the market has made most economists neglect vast areas of our economic life.” Straw men? Alas, it seems not. The economic reality is complex and cannot be fully analysed with just one theory. The various economic theories conceptualize basic economic units differently (e.g., individuals v. classes), focus on different things (e.g., macro-economy v. micro-economy), ask different questions (e.g., how to maximize the efficiency with which we use given resources v. how to increase our abilities to produce those resources in the long run) and try to answer them using different analytical tools (e.g., full rationality v. bounded rationality). As the saying goes, ‘he who has a hammer sees everything as a nail’. If you approach a problem from a particular theoretical point of view, you will end up asking only certain questions and answering them in particular ways. You might be lucky, and the problem you are facing might be a ‘nail’ for which your ‘hammer’ is the most appropriate tool. But, more often than not, you will need to have an array of tools available to you. You are bound to have your favourite theory. There is nothing wrong with using one or two more than others – we all do. But please don’t be a man (or a woman) with a hammer – still less someone unaware that there are other tools available. To extend the analogy, use a Swiss army knife instead, with different tools for different tasks. Saying that economics is a political argument does not mean that ‘anything goes’. Some theories are better than others, depending on the situation at hand. But it does mean that you should never believe any economist who claims to offer ‘scientific’, value-free analysis. …we are witnessing a failure of plurality. Our current landscape has been created by the acceptance of a few core principles – the individual as perfectly selfish, perfectly rational, able to create perfect markets by acting in her own interests; we have ignored plausible competing theories and have suffered for it. Political and ethical judgments are present even in ostensibly value-free exercises, such as defining the boundaries of the market. Deciding what belongs in the domain of the market is an intensely political exercise. Once you can drag something (say, water) into the domain of the market, you can apply the ‘one-dollar-one-vote’ rule to decisions surrounding it, making it easier for the rich to influence the outcome. Conversely, if you can take something (say, child labour) out of the domain of the market, it becomes impossible to influence its use with the power of money. Ha-Joon Chang, reflecting on the very nature of knowledge in economics, is presenting ideas relevant to others in his own field. In addition, though, he is contributing to our understanding in Theory of Knowledge of economics as a human science and the debates within it. This entry was posted in IB Theory of Knowledge and tagged human sciences, implications, perspectives, theory. Bookmark the permalink.